Choose your Pop Fill Color. Use Accent #1 to choose the chocolate color for the laces. Use Accent #2 to choose the chocolate or luster dust color for the blades. 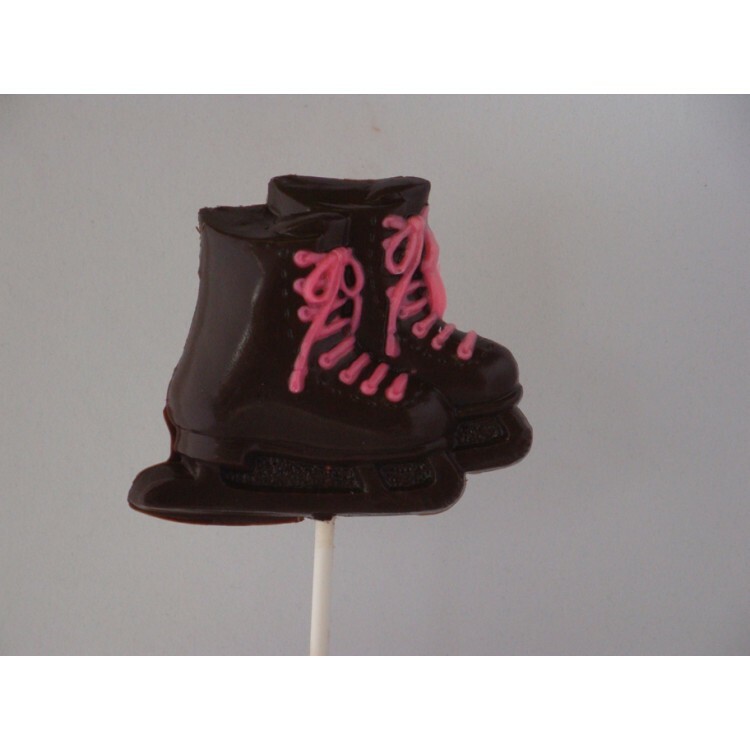 Shown in picture: Pop fill color is Milk Chocolate with Accent #1 of Pink Chocolate. Accent #2 is not used.